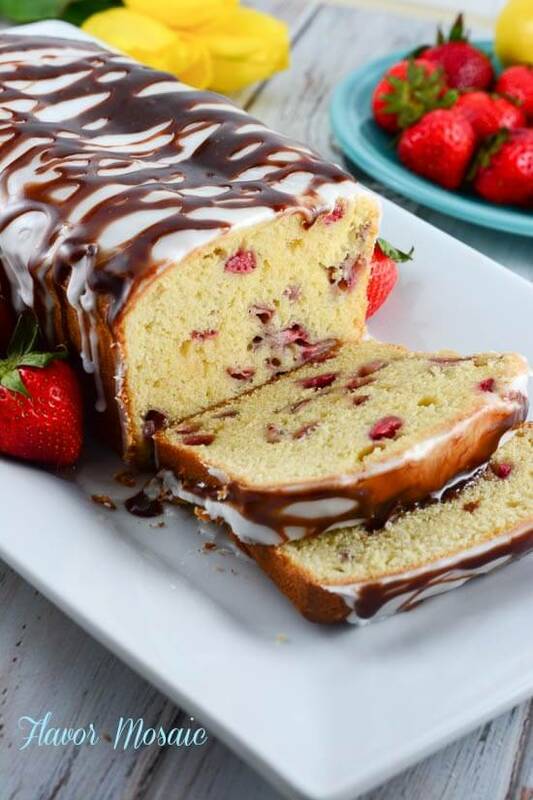 Lemon Strawberry Pound Cake with Chocolate Ganache is a variation of my Glazed Lemon Blueberry Pound Cake. With Easter around the corner, I wanted to create a strawberry dessert that is perfect for Spring and Easter. Strawberries are starting to come into season, and I love fresh strawberries. For several years one of our grandmothers brought a rich, luscious, freshly made strawberry layer cake to holiday dinners. Her friend and neighbor, who was a caterer, made this cake especially for her. And she shared it with the rest of our family. 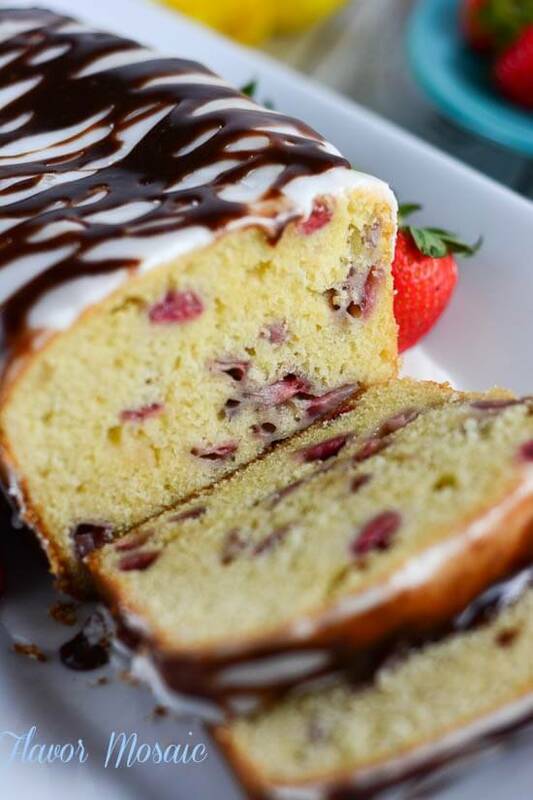 Even those who claimed they did not like strawberries loved this cake. 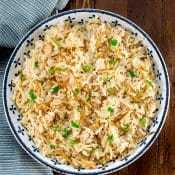 Sadly, our grandmother passed away, as did her neighbor, and the recipe died with them. For years I tried to find that recipe, but to no avail. So I created a new recipe, one of my very own; and this is the result. While I love strawberries, I am not a big fan of strawberry shortcake. I can’t tell you why. It is an oxymoron. And I did not want a strawberry layer cake because, let’s face it, I’m lazy. I wanted something easy yet impressive. 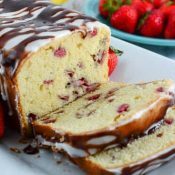 I saw this recipe for an “Amazing Strawberry Pound Cake” on AllRecipes.com. However it had ground almonds, and that just did not fit in the recipe I had in my head. 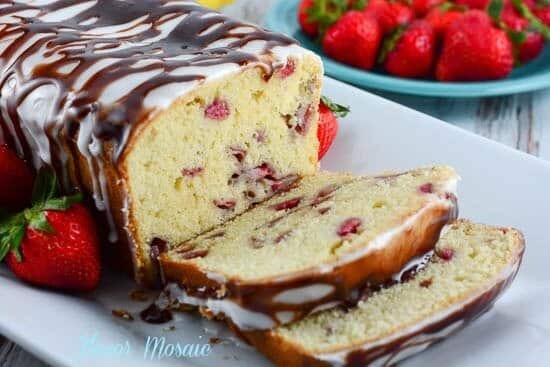 So I found this Lemon Strawberry Loaf Cake on Chocolate, Chocolate, and More, which looked absolutely delicious, and more what I had in mind. However, I wanted chocolate to go with the strawberries. 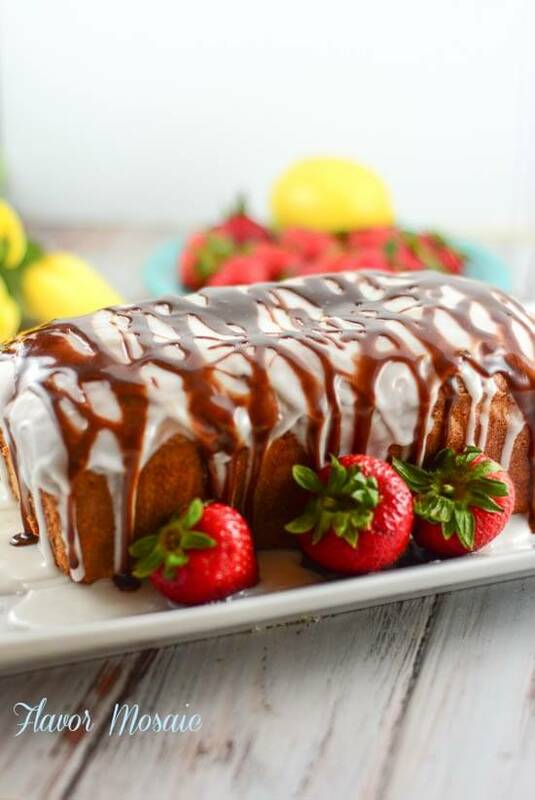 Then I realized I already had a tried and true Glazed Lemon Blueberry Pound Cake that all I had to do was substitute strawberries for the blueberries and create a chocolate ganache to drizzle over the top of it….and, Voila! That was it. 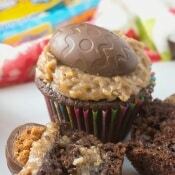 Easy yet impressive, and has chocolate. According to Mr. Flavor Mosaic, it is not dessert if it does not have chocolate. Don’t be afraid. It’s easy. 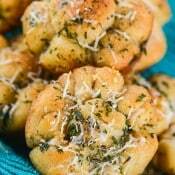 You can make this recipe and impress your guests. For which occasion will you make this cake? Spray a 9" x 5" loaf pan with cooking spray. Line with parchment paper with the paper hanging over the sides. 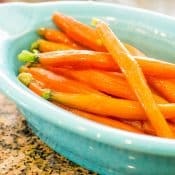 In a small bowl, pour in buttermilk, lemon juice, and lemon zest. Set aside. In a medium bowl, sift together flour, salt, baking powder, and baking soda. Set aside. In a large bowl, using a mixer, beat the butter and sugar. 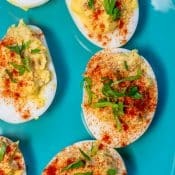 Add 1 egg at a time, mixing well in between each egg. While mixing the batter on low speed, add the flour mixture and then the buttermilk mixture until batter is smooth. Do not over mix. Stir in the flour-covered strawberries. Pour the batter into the prepared loaf pan. Using a spatula spread the batter so it is spread out evenly in the pan. 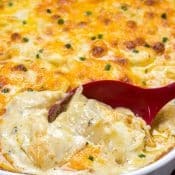 Bake in a preheated oven for 45 to 55 minutes. Let cool completely. 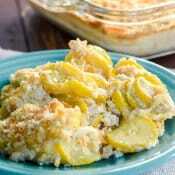 Prepare the glaze by mixing 2 cups powdered sugar with 2 to 3 tablespoons of lemon juice. Pour over the top and sides of the cooled cake. To make the ganache, place the chocolate chips and 2 teaspoons of butter in a small microwave safe bowl and microwave for about 30 seconds at a time. Stir until the chocolate is melted and smooth. 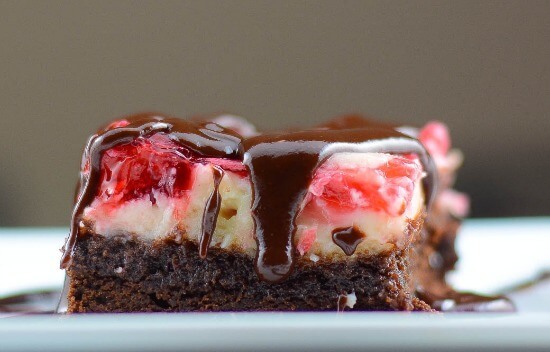 Another gorgeous dessert you may enjoy is my Cherry Cheesecake Brownie recipe. 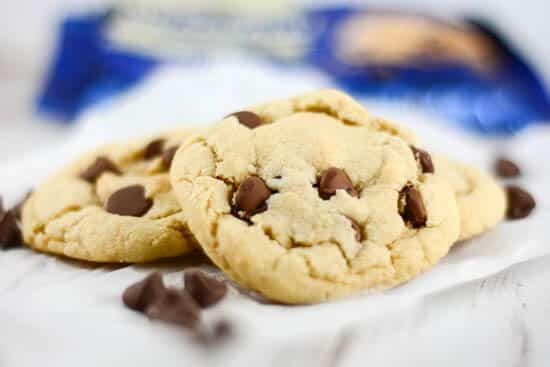 Try another delicious and easy dessert, such as our Best Chocolate Chip Cookies. 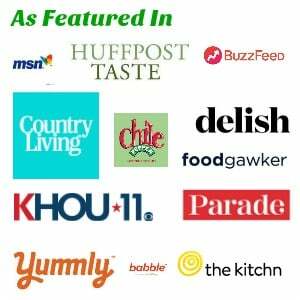 This post may be included in one of these fantastic link parties and The Weekend Potluck #114. 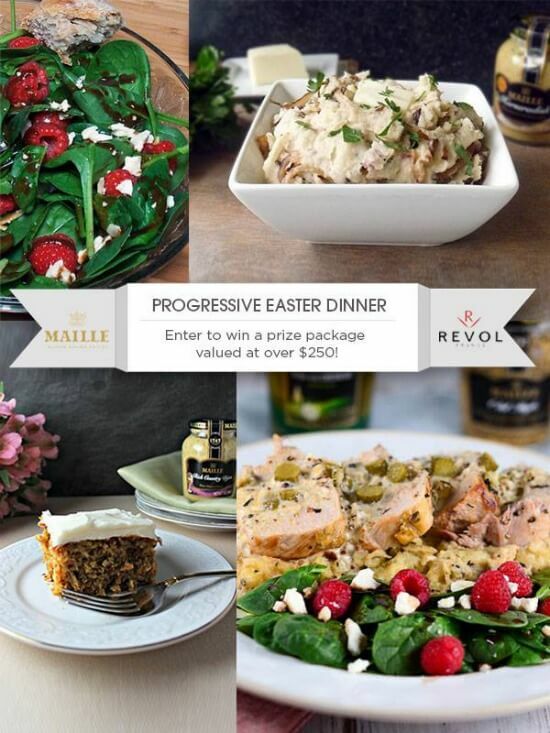 For more holiday dinner recipes, you might be interested in our Progressive Easter Dinner menu with recipes from me and three other fantastic bloggers. Strawberries are getting started here. We are lucky we will keep them around until November so we don’t feel the need to rush to use them but they ARE a great idea with the start. I’m curious if you think the recipe could be doubled to make one larger bundt cake and if you feel it would still work without the ganache (though I have no great argument NOT to use that!). 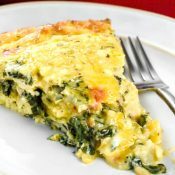 Just wondered if you feel a larger cake would change the recipe/texture/flavor. Thanks!! courage to go ahead and give you a shout out from Atascocita Tx!